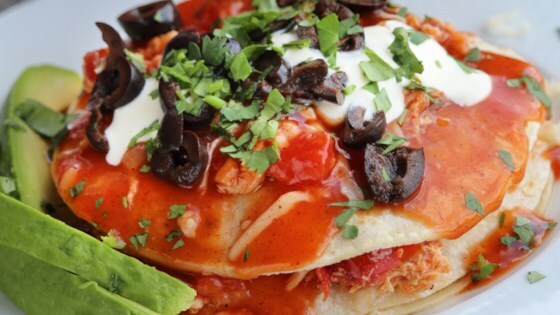 "These enchiladas are stacked like pancakes, not baked in oven. This is a family recipe handed down two generations. Quick, easy and definitely delicious. Use your favorite kind of meat in this dish - it also works well for leftover meat." True new mexico style! The fried eggs are the most important part of the meal! Messy but tasty. Kid pleaser.